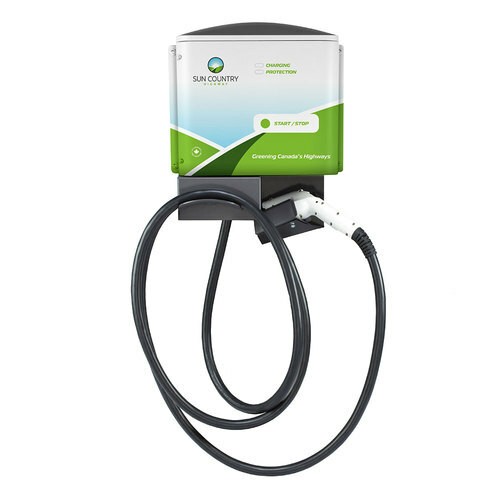 The SCH60 provides a faster charge time for the most advanced electric vehicles and commercial fleet vehicles with 48A, 11.5kW of continuous power. A great in-between solution, for when your building can't quite support a 90 amp breaker. The unit comes with a 22 ft (6.8 m) cord set. Competitively priced hardware upgrade solutions available for remote monitoring communications and electronic payment processing. Can be wall or pedestal mounted. Meets cUL and UL listing safety standards. *Pedestal sold separately.